Home » » Ex-MBGN And Miss World Contestant, Anita Iseghohi Announces Separation From Husband. 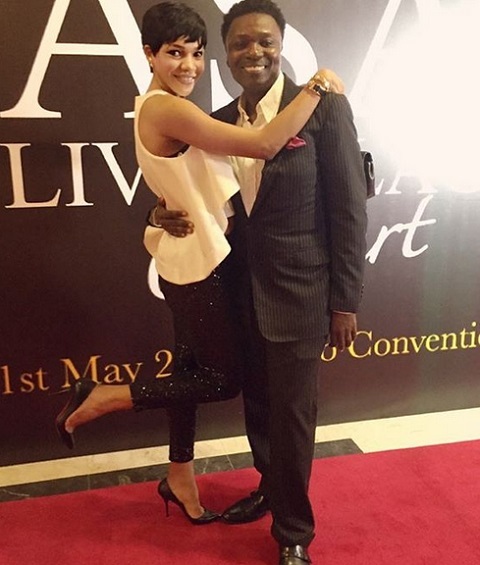 Ex-MBGN And Miss World Contestant, Anita Iseghohi Announces Separation From Husband. Former Nigerian beauty queen, Anita Iseghohi, who is the 2004 Most Beautiful Girl in Nigeria (MBGN), has taken to her Instagram in the early hours of Thursday to announce her separation from her husband of nearly 12 years, Tom Iseghohi. According to Anita, in spite of their new status, the couple would have celebrated their 12th year wedding anniversary in December and have three children together. She said they remain a family and will work together to co-parent their children. Iseghohi wrote: “Following our almost 15 year relationship as well as a lot of recent thought and careful consideration, I have made a difficult decision to separate from my husband. Iseghohi was among the top 15 semi-finalists at the 2004 Miss World pageant. She was named the African Continental Queen of Beauty. While marking their 10th wedding anniversary in 2016, she described Tom as a “lover, family, friend, partner, teacher, and mostly importantly the one that understands my drama”.